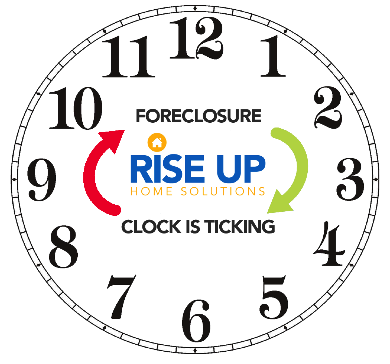 Don't let yourself be one of the millions that have lost their home to foreclosure. A foreclosure can be extremely destructive to your financial and personal well-being. If you are late on your mortgage payments with no solution in sight, there is still hope. You must act quickly, though, because the foreclosure process can happen much faster in the state of California, compared to other states. A foreclosure is devastating to your credit. Unfortunately, your credit can be impacted negatively for 7-10 years. Purchasing or even renting another home may be more difficult due to the foreclosure. If you can no longer afford to keep your home, it may be in your best interest to protect your credit by having Rise Up Home Solutions purchase it from you. Be advised that you can stop the foreclosure process by selling the property prior to the auction. Rise Up Home Solutions will share options with you that are based on assisting you in this process. We will arrange an ethical and legal approach to purchasing your home and stopping the foreclosure. 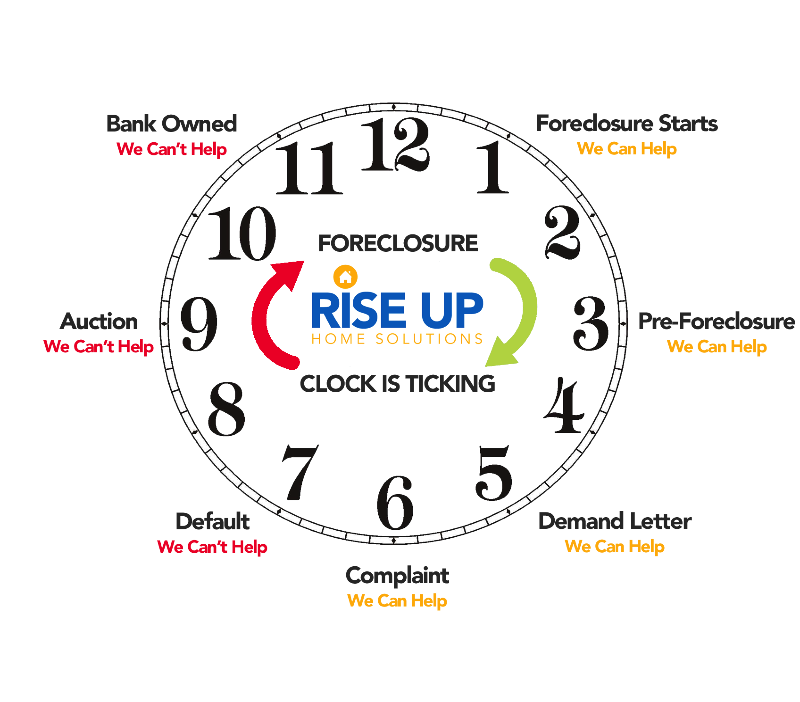 The bottom line is that your situation is not hopeless.... You certainly have options that can stop the foreclosure process. Another option may be to Seller Finance your home to Rise Up Home Solutions, which could alleviate the stress of your situation. The Seller Financing strategy has saved thousands of homeowners across the country that face foreclosure. Please click the button below and fill out the form as soon as possible so we can contact you to discuss your particular situation and all the details about purchasing your home and saving your credit.